Known as WST, the Westerly Storage Tunnel Project is one part of Project Clean Lake, our program geared toward meeting Clean Water Act standards and addressing water-quality issues. 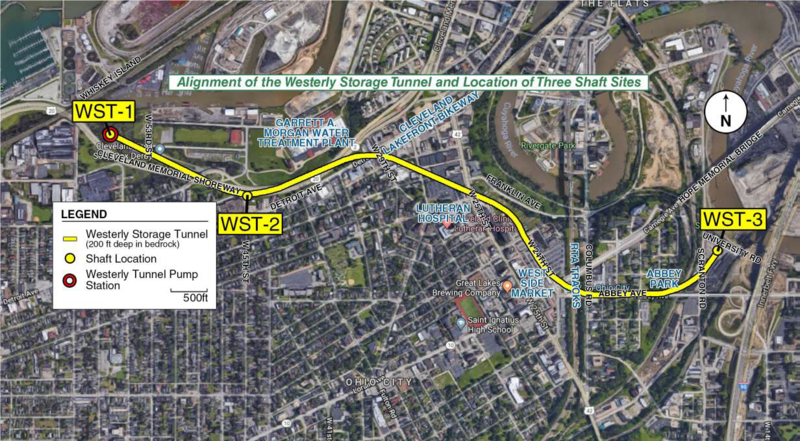 The WST system will help control overflows at two locations along the Cuyahoga River and reduced combined sewer overflow pollution to the environment by 328 million gallons per year. This control will contribute to Project Clean Lake’s overall goal: capturing 98% of all combined sewer flows for treatment. Part of the project includes the construction of a pump station near the Soap Box Derby track along the Shoreway. During construction, the WST will have some short-term impacts on the community, including lane closures and traffic pattern changes, noise and vibration, dust, dirt, and/or mud, and disruption to community aesthetics. We will maintain updates here as provided by our project managers. There will be construction traffic at the WST-1 and WST-3 sites shown on the map above, but no anticipated lane closures. 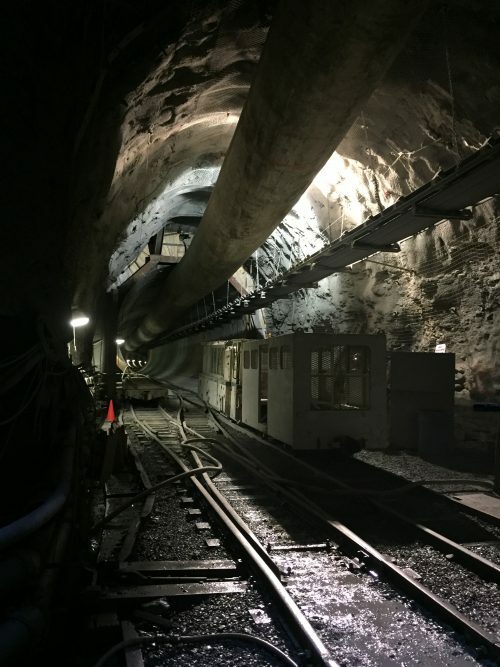 Construction traffic will generally be heavy at WST-3, where all tunnel-mining spoils (the shale dug out from the tunnel alignment) will be removed and tunnel-construction materials will be delivered. 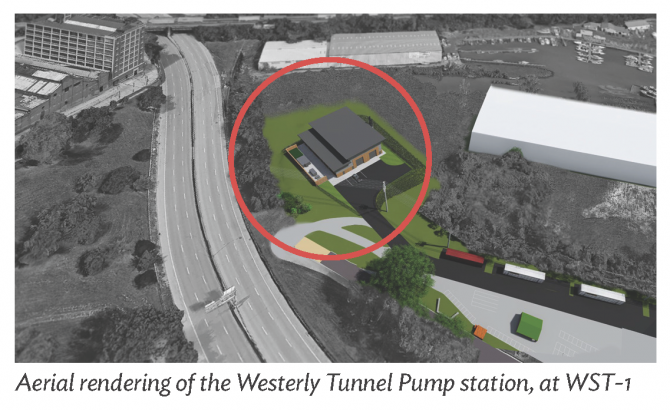 In Spring/Summer 2019, at the WST-2 site, there will be an eastbound Shoreway lane closure and the off-ramp to West 45th Street will be closed for about five months. Those details can be found in the May 2018 resident mailer. The finished tunnel will be two miles long. To get from the starter tunnel to the tunnel boring machine as she burrows along, workers take a train, as seen here during construction of the Dugway Storage Tunnel. Construction will begin in summer 2018 and the entire project will be completed in 2020. The construction contract amount is estimated at $135 million. The project will reduce combined sewer overflows (CSO) by 328 million gallons annually, and decrease flooding during rain events.